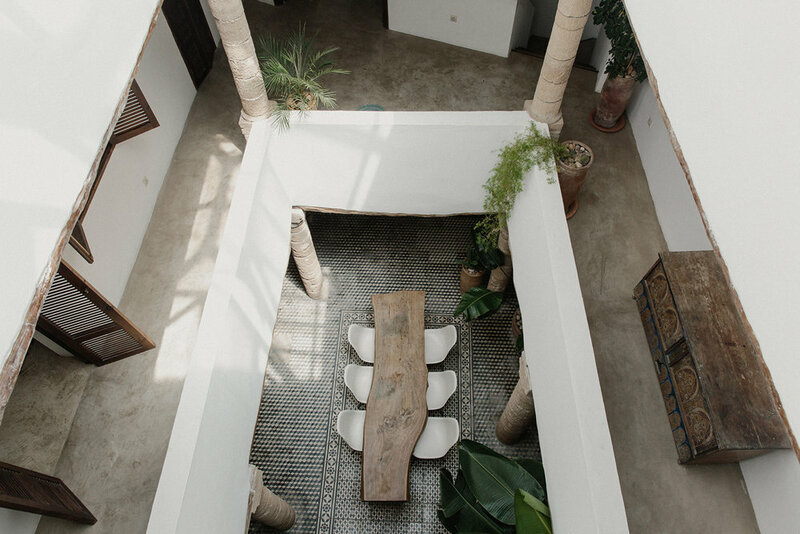 Located in the ancient medina of the walled coastal town of Essaouira, this 200 year old house has reached cult status with the design lovers of the world. The iconic 18th Century Riad has been lovingly restored by London-based interior designer Lisa Burke, retaining all the original features such as the sand stone columns, thuya wood ceilings and beautiful black and white traditional tiles in the ground floor. 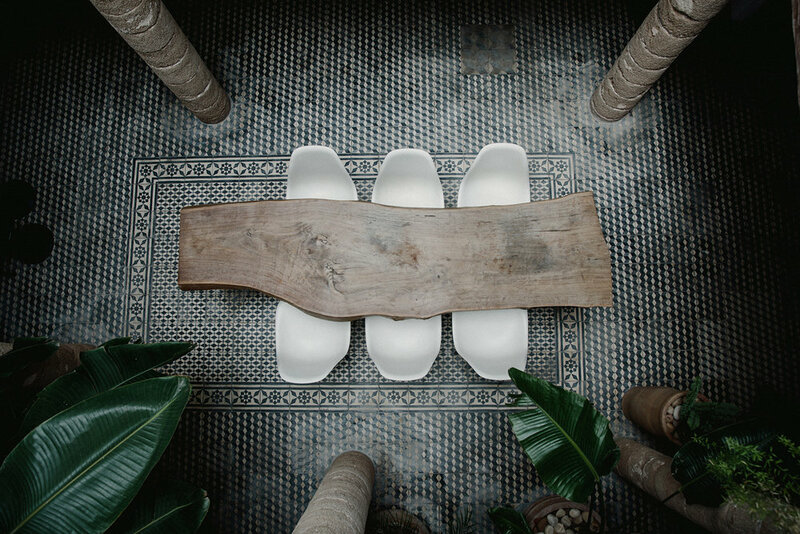 Perfecting the art of minimalism with the fine balance of simplicity and character, Lisa has introduced an eclectic mix of vintage, antique and modern furniture and art from Europe and Morocco creating a delightful, design-driven space that will have you gawking at every corner. 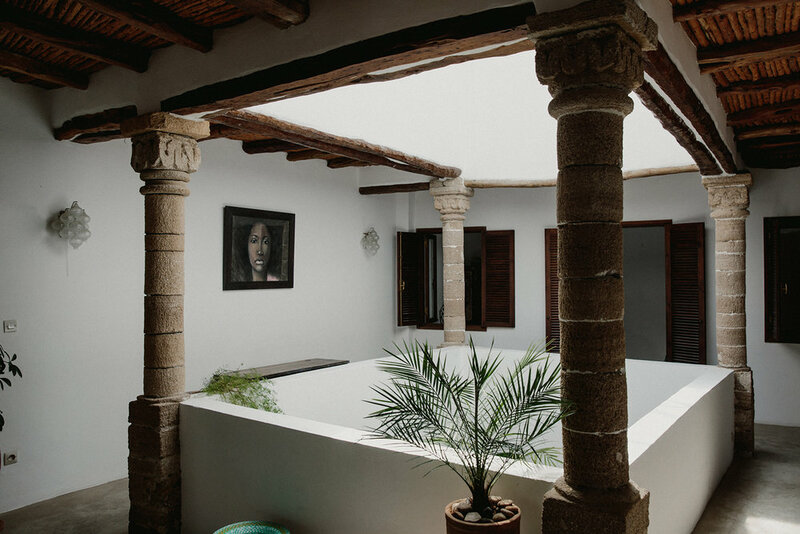 In addition to the large courtyard on the main floor that is home to the dining area, lounge, and kitchen, there are four ensuite bedrooms, two salons, an outdoor kitchen and bar, and two rooftop terraces that are spread over 4 floors making it the ideal place to enjoy with friends and family while exploring the quaint town of Essaouira. Upon entering the home, you are met with a large, light-filled open plan courtyard, home to a large eucalyptus slab table that seats 8 people, a modernized kitchen, and a cozy lounge with two vintage armchairs and a large fireplace. On the first floor, you'll find another lounge with a large sofa and fireplace, as well as two bright ensuite bedrooms. The second floor has a third ensuite bedroom and large terrace with outdoor kitchen and bar and dining for eight people. Continue up the stairs to the top floor and you will find another large terrace and ensuite bedroom. All the bedrooms are bright with neutral tones with added pops of color through textiles and vintage furniture while the ensuite bathrooms all feature walk-in rainshowers. 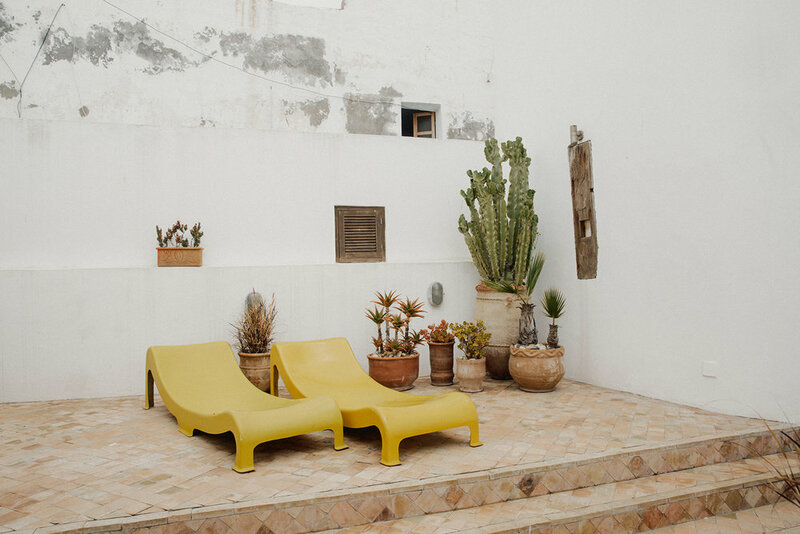 Having a center courtyard allows light to penetrate every space in the home, creating a light-filled haven. The design and decor create a character-filled, inviting space with a myriad of different nooks to enjoy, whatever your mood may be. This friendly local community has an array of shops with plenty of helpful shopkeepers on hand to provide all you will need for your stay. There are bakeries and fruit and vegetable stalls all within a 5-minute stroll as well as cafés, restaurants, the beach and harbour all within a ten minute walk. The closest airport is Marrakech International Airport, a 2.5 hr drive away. Rates are based on 3 guests, add $50 per night, per additional guest. 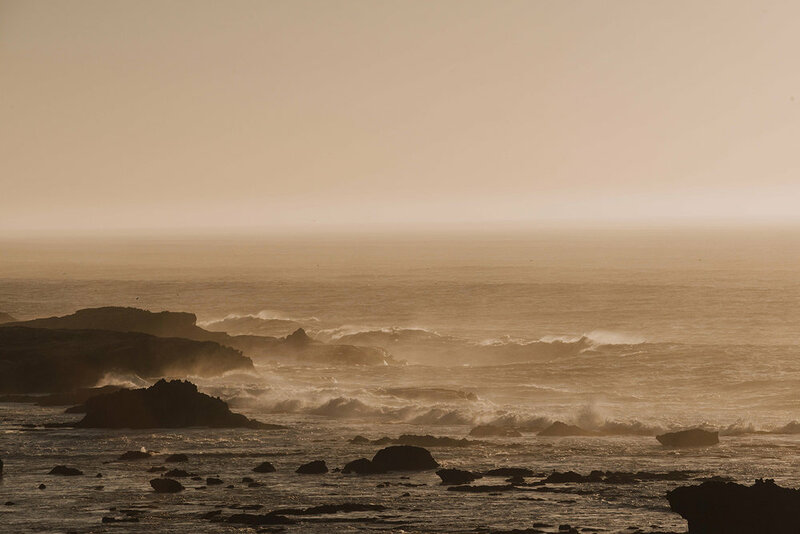 Minimum stays are usually 7 nights, however sometimes 3 night minimums are permitted. Contact owner for more accurate pricing. House manager will meet you on arrival to give you a house tour and be your point of contact during your stay. Regular cleaning by housekeeper. Initial load of firewood provided, additional firewood arranged by request at an extra cost. Due to the layout of the home, it is not easily accessible for those that need assistance. 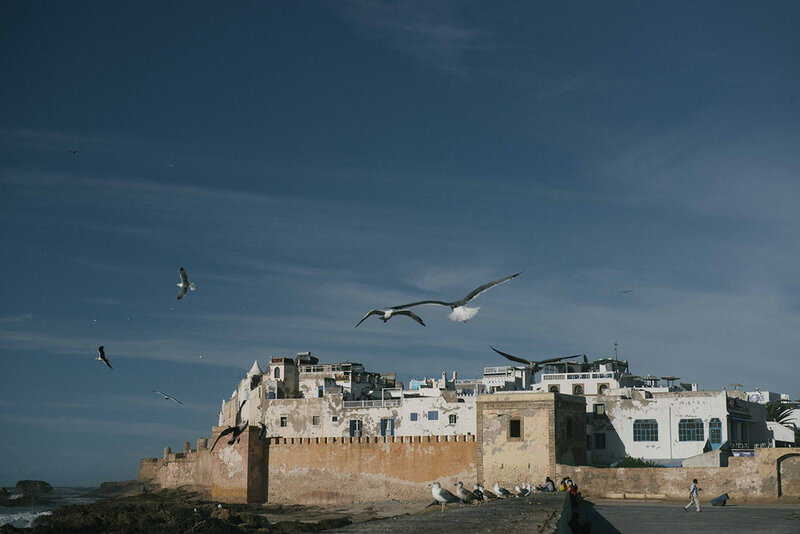 Essaouira is known as the most laid back resort on the Atlantic coast and enjoys a mild and pleasant climate all year round. Here you will find a relaxed white washed town with narrow streets and an amazing lively Medina. Unspoiled white sandy beaches with some of the worlds best windsurfing and a fantastic bustling harbour. 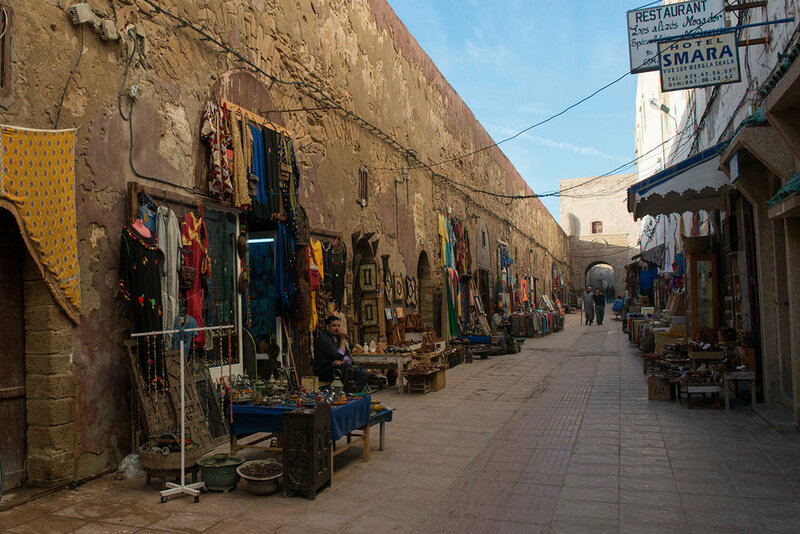 You can spend hours in the old Medina browsing at the local craftsmen in their workshops, art galleries, shops and boutiques. There are numerous restaurants and cafes (full details are available in the info book at the house). Down by the harbour you will find the famous fish stalls, which will serve the most amazing fresh fish, caught daily.